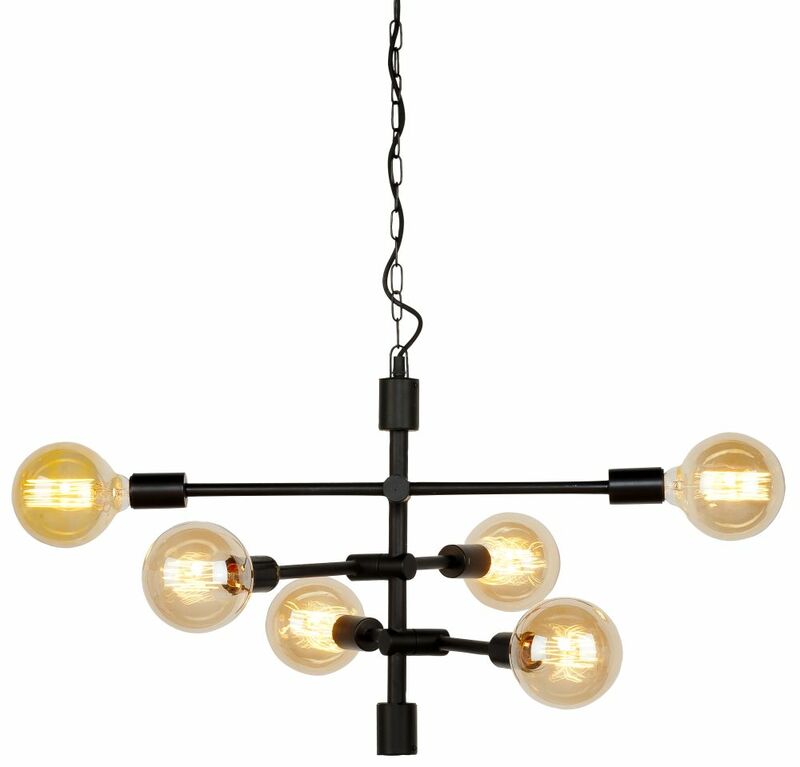 NASHVILLE chandelier, floor lamp, and table lamp is a bold, industrial and surprisingly elegant piece for your space. Its stylish design incorporates no less than six individual light bulbs and it has an appearance which almost mimics a ship's anchor mix with a weathervane, as the bulbs are attached to the iron piping point out at different angles and creating a stylish and eye-catching design for your home. It has a classic matte black finish which brings the quirky design to life and helps the bulb stand out even more. Made from strong and durable iron.